It's a bust, it's a bank, it's Superman! 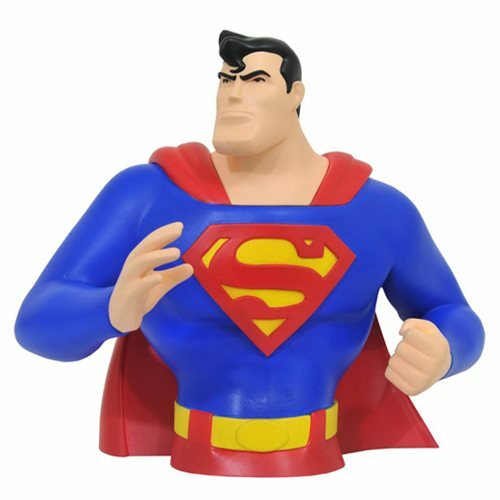 The Man of Steel joins Diamond Select's line of vinyl banks based on the DC Animated Universe, with this approximately 7-inch-tall portrait of Superman as he appeared in Superman: The Animated Series! With a coin slot on the back and an access door in the base, you'll be able to save some dough even as you save the day! The Superman Animated Bust Bank comes packaged in a clear polybag. Ages 13 and up.